7400 Series IC Nibbler 4-Bit CPU – PCB Version! « Adafruit Industries – Makers, hackers, artists, designers and engineers! 7400 Series IC Nibbler 4-Bit CPU – PCB Version! If you’re looking for a fun through-hole soldering project and want to build your own CPU, check out the updated Nibbler, built with multiple 7400 series ICs (74HC32, 74HC74, 74HC163, 74HC125, 74HC173, 74HC181, 74HC244, & 74HC377) and other components. 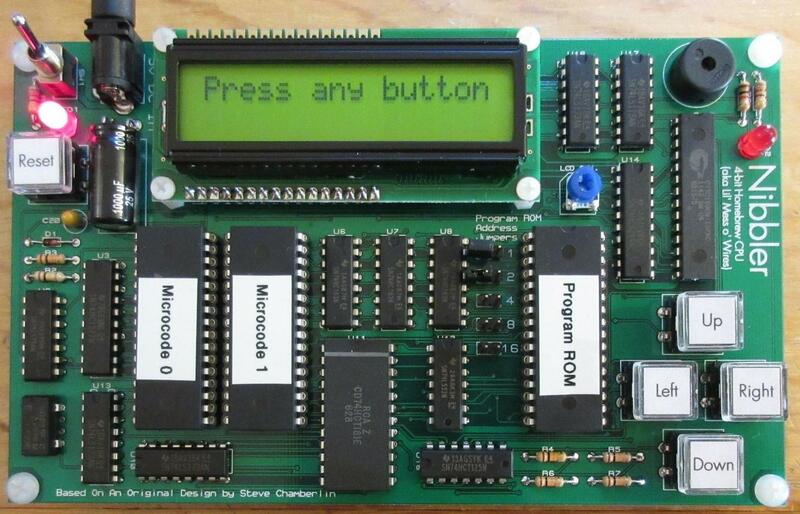 Nibbler is a 4 bit CPU built from standard 7400 series logic chips. Despite using only 17 chips, it can do some interesting tricks. It was designed by Steve Chamberlin (of Big Mess o’ Wires Fame) and was originally constructed using the wire-wrap process. 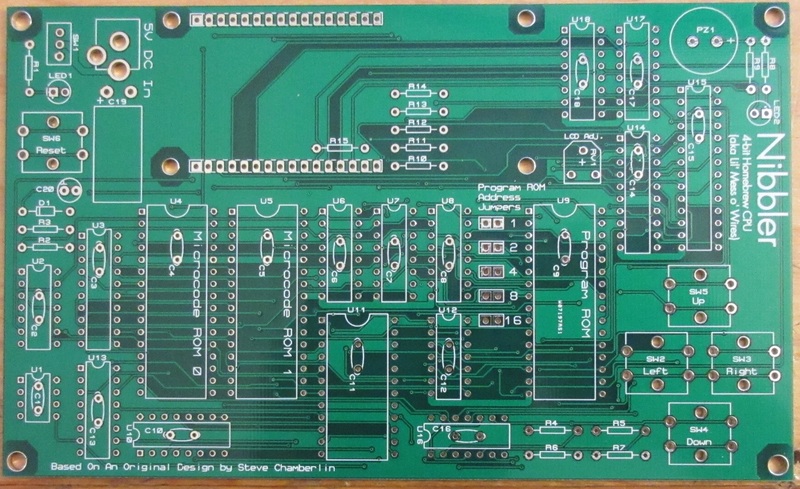 This is an updated design that uses a printed circuit board and some component substitutions. Check out this project’s image gallery on imgur; Read about the history of this project on Big Mess o’ Wires; Get the project files (gerbers, documentation) here on Google Drive. Comments Off on 7400 Series IC Nibbler 4-Bit CPU – PCB Version!